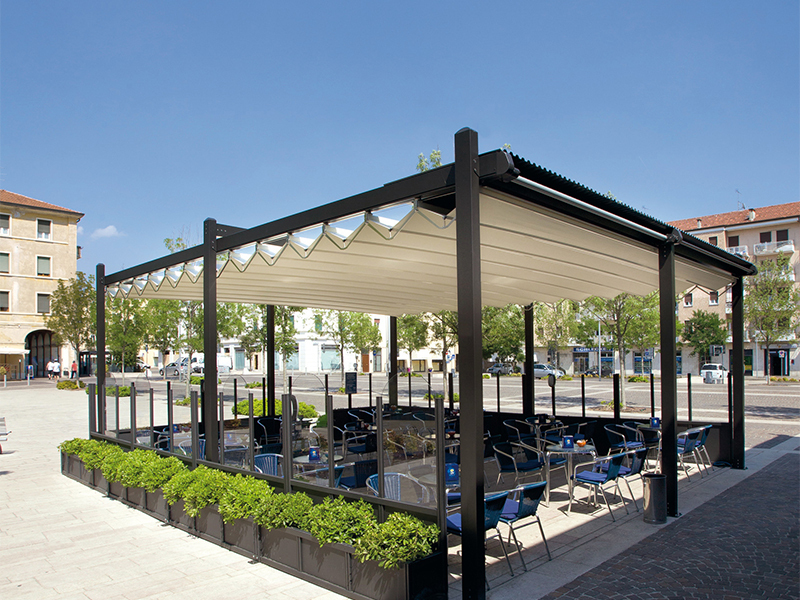 Retractable roofs allow you to make the best possible use of your outdoor areas in any kind of weather. The thing about the weather in Melbourne is that we get to experience all the seasons – sometimes all in one day! When you have the convenience of retractable roofs installed in your home or business, you offer the greatest comfort level to your customers, family, or guests in any kind of weather. In addition, you’ll easily fit these roof systems into your existing design because they are available in a number of colors and styles and in a wide range of prices. Following, you will find the four top benefits for the installation of retractable roofs in your home or business. In Melbourne, we experience a lot of sunshine and the temperature can get quite high at times. So, it’s nice to escape from the UV rays and heat by the use of a retractable roof. Conversely, the roof opens up completely so you and your guests can enjoy the panoramic view of the beautiful night sky. 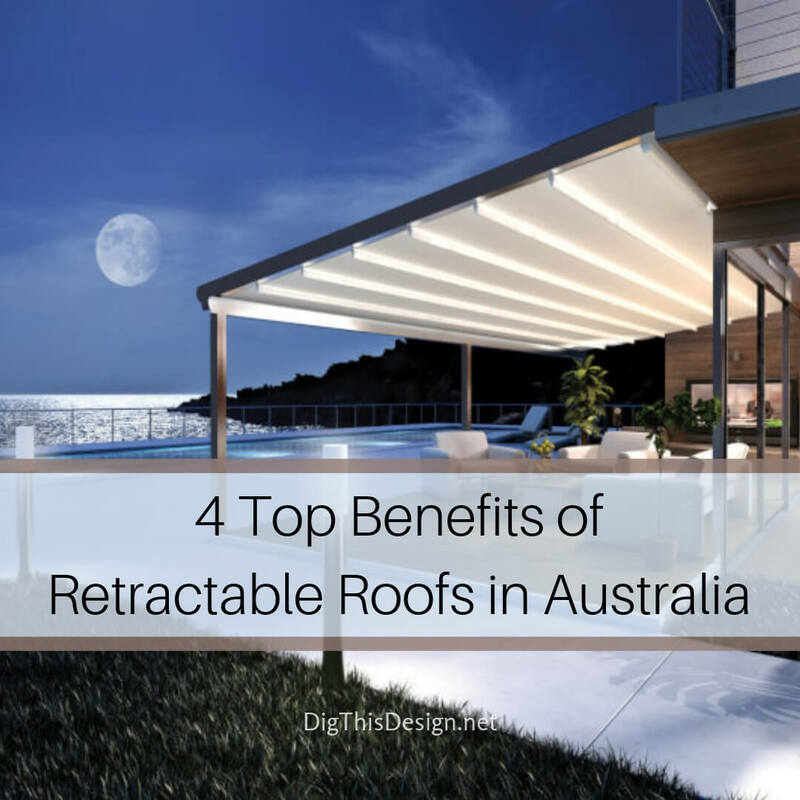 We also get our fair share of rain and retractable roof systems in Melbourne allow us to escape from the rainy weather because these roofs are one hundred percent watertight so that no rain drips through. You might also choose to have a guttering system in place that helps direct the rainwater away from the roof. This helps ensure the longevity of your roof while it keeps you and your guests dry. Because the roof system is used to block out the sun and also helps hold heat in the area. As a result, it reduces the need for additional heating and cooling. What’s even better is that the retractable roof is in use all year round, so you naturally get to enjoy year-round energy savings. That’s a win-win for everyone. These retractable roofs are very strong and built to withstand the wear and tear of the elements. That’s because only top quality materials are used that include aluminum, stainless steel and waterproof fabric which keeps its shape and color for long periods of time. 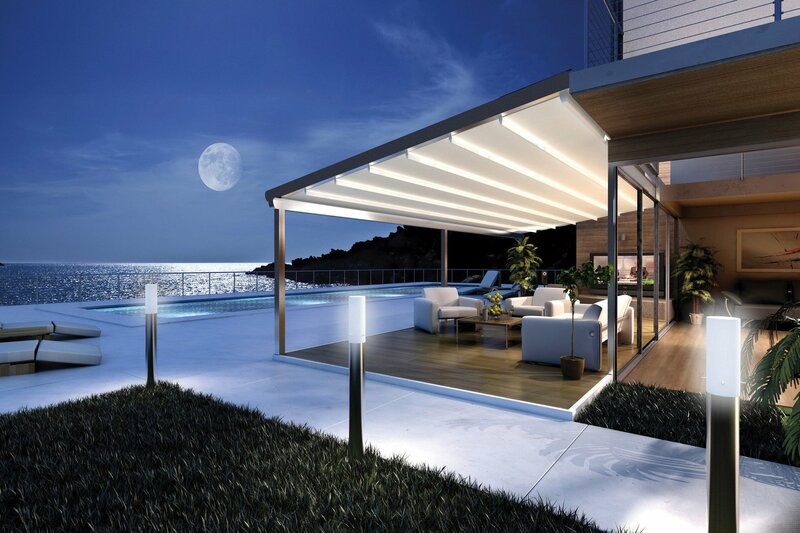 Also, retractable roofs come with a warranty that extends to up to five years which is an excellent added bonus. If you want the ultimate in elegant protection from the elements, look into the installation of retractable roofs in your home or business. Whatever the design of your home or business, we are certain that with a little research, you will find the perfect retractable roof that provides your customers, family, and guests with years of comfort and convenience.